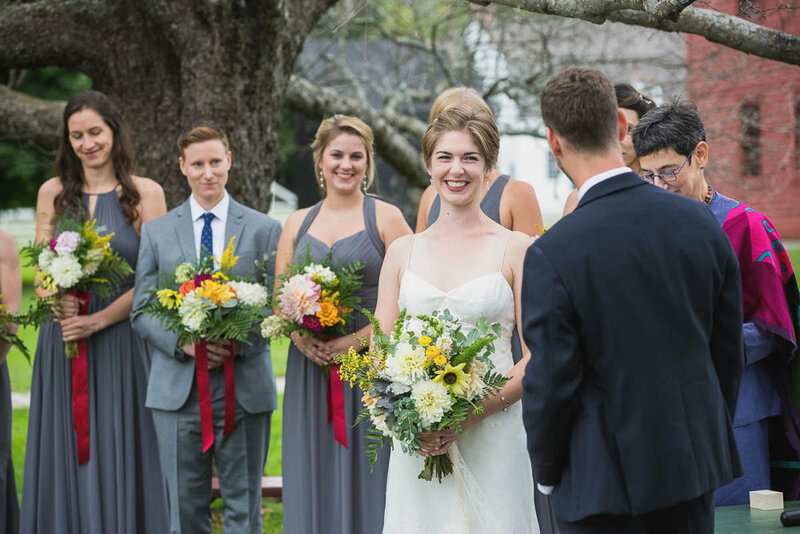 A word from the photographer: The day started off in the Library room at Hotel on North in Pittsfield, where Emma & Luke got ready with their closest friends and family. 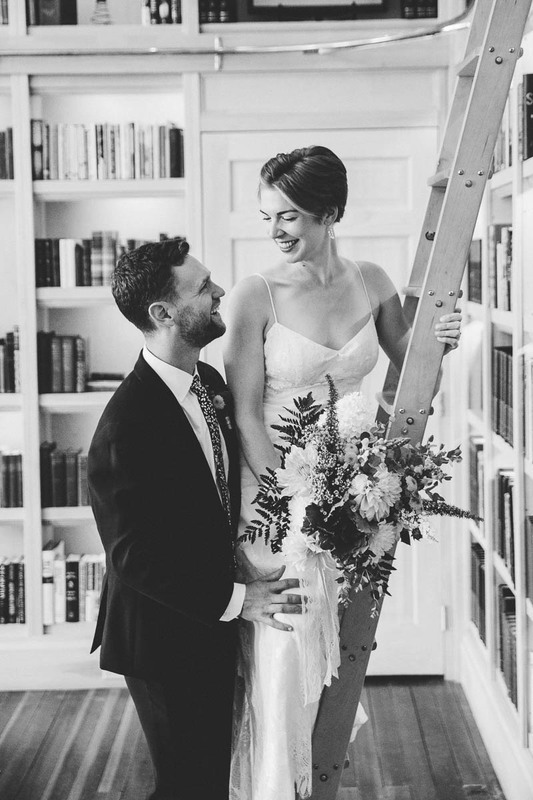 We originally planned on a first look down in the lobby, but the Library room is so amazing that we decided to kick out the wedding party for a little bit of privacy as the couple saw each other for the first time since their welcome dinner the night before. 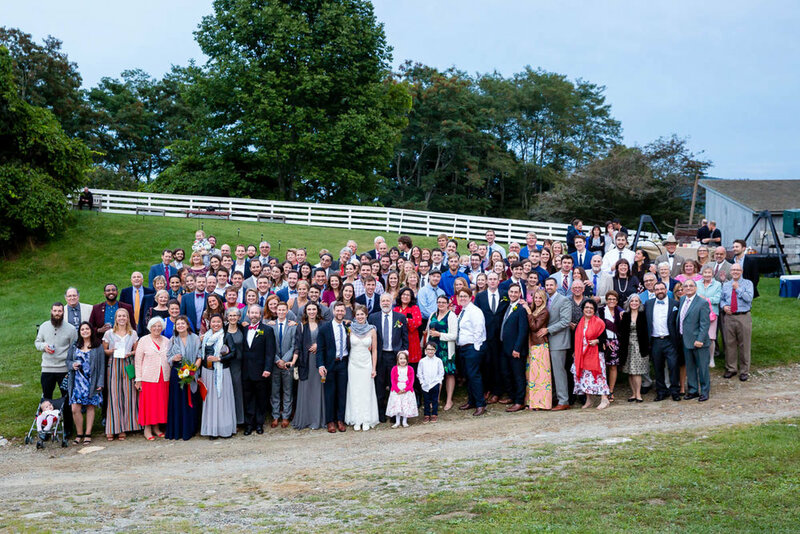 After a few photos we all traveled together on a sweet party bus to Olivia’s lookout in Lenox for some family photos. Luke grew up in Lenox and really loved the view of Stockbridge bowl that you get from Olivia’s lookout, and thankfully we had the whole spot to ourselves! We all got back onto the party bus to Hancock Shaker Village where Emma & Luke and I took a walk around the property for some photos fo just the two of them. 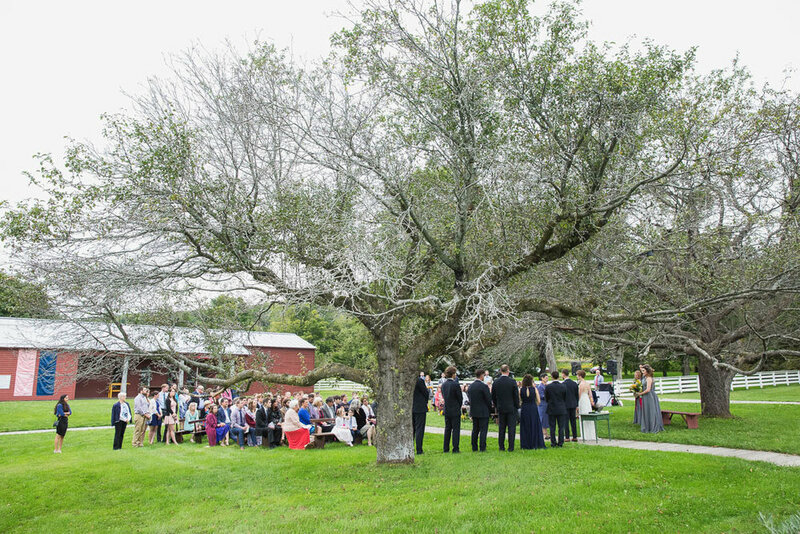 The ceremony was held under two beautiful old trees with the 1826 Round Stone Barn in the background. 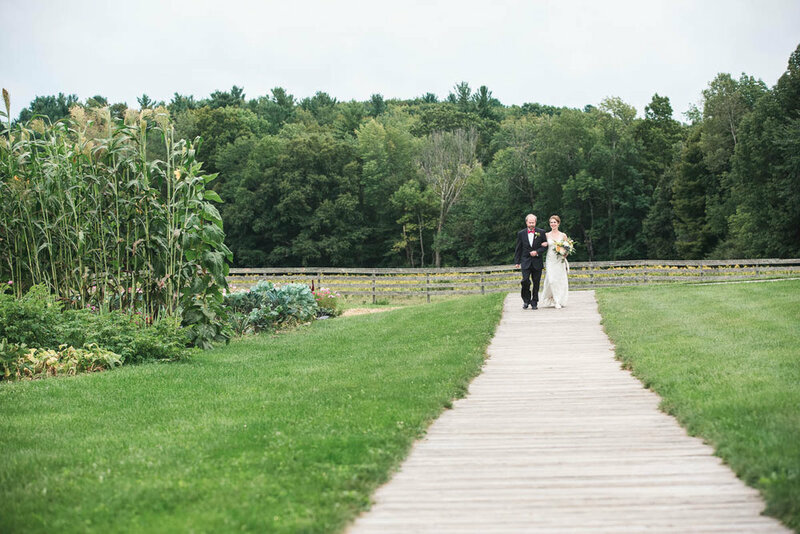 After a short and sweet ceremony, we all headed over to the old Brick Poultry Barn for cocktails and hors d’oeuvres. 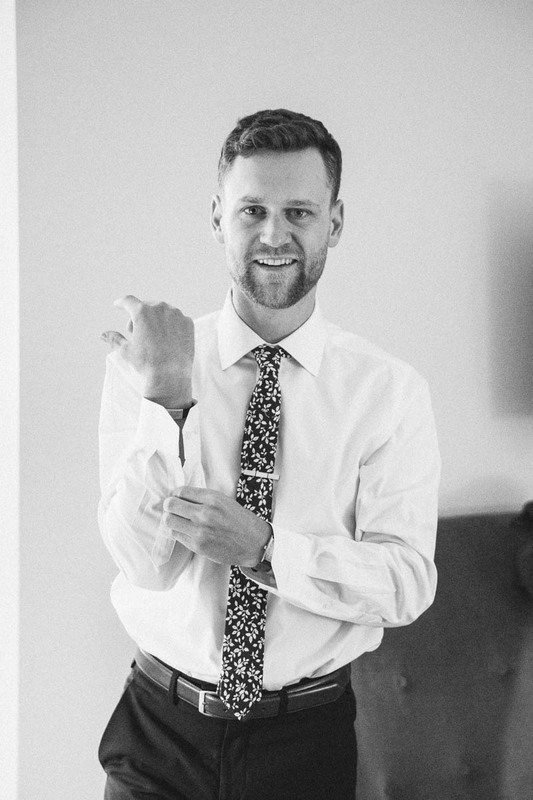 Emma’s father surprised the couple with a giant hand made picture frame, and a couple of Emma & Luke’s friends walked around with me to “frame” the guests. What a blast! 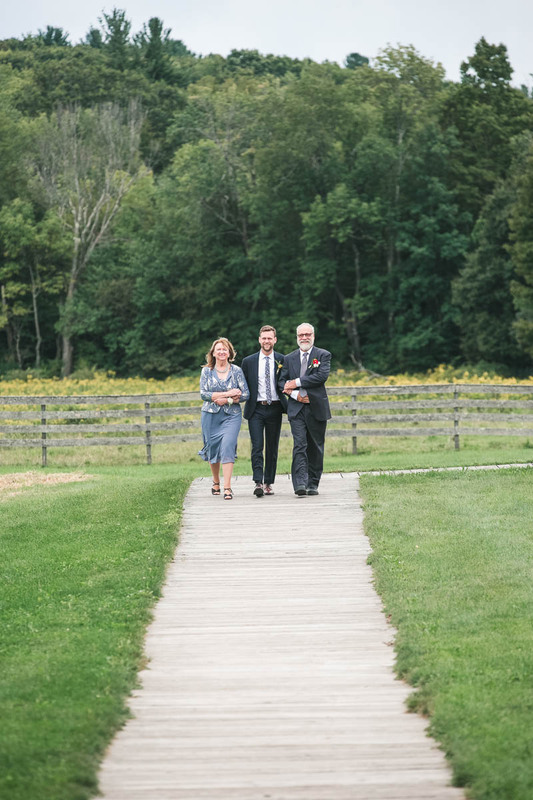 After a while, the entire wedding moved over to the 1910 Barn, a newly opened space available the Hancock Shaker Village has been using for their Shaker Barn Music Series. The day ended with a few super funny toasts and a whole lot of dancing.